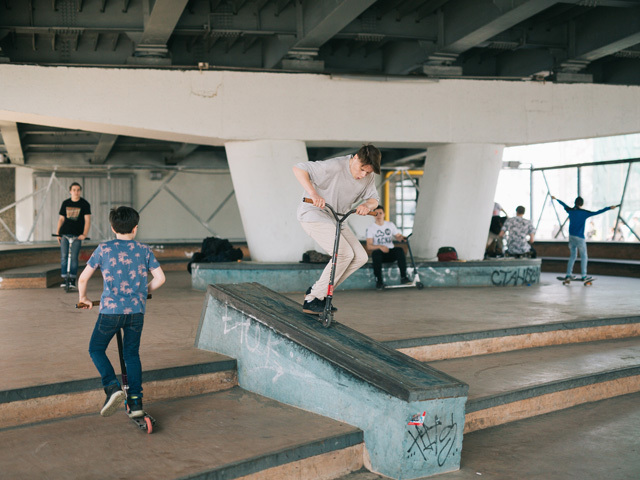 Utilising a dead space beneath a highway, a creative co-operative has created a skatepark in the heart of Moscow that provide a safe public space for young people and encourages social interaction. 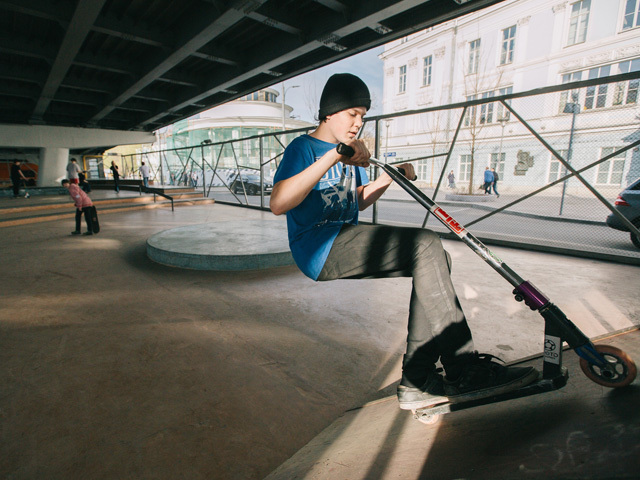 Part of a reconstruction plan for the Garden Ring, a circular avenue around central Moscow, the old parking lot near the Krymsky overpass has been transformed into a skate-spot for the city’s youth, giving the abandoned space new life with a public function. 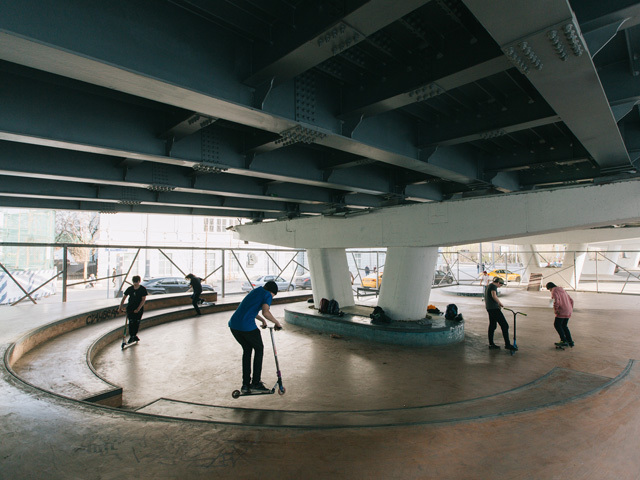 A government initiative, the new skatepark was designed by Strelka KB (urban planning consultants), STRELKA Architects and Snøhetta, in cooperation with Federation of Skateboarding and Tsekh (a Russia-based company that produces and tests skatepark equipment). 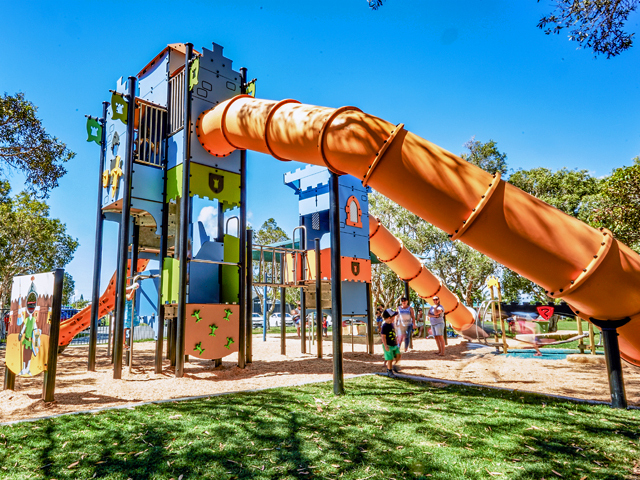 Close to the public transport and a central greenspace, the park has become an extension of the neighbourhood fabric. 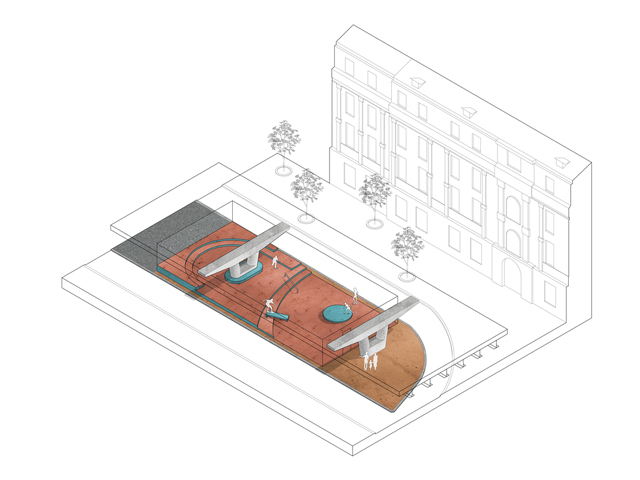 Though small in size, the underpass was ideal for creating a skatepark as the area surrounding it is always crowded with people – being near the metro station and with several pedestrian routes intersecting the space. The only underused space remained the parking zone directly beneath the highway. “The overpasses are engineering structures excluded from the environment, which should have been returned to the city. We wanted not to mask them, but on the contrary, to emphasise their brutal nature. One possible solution was a skatepark. 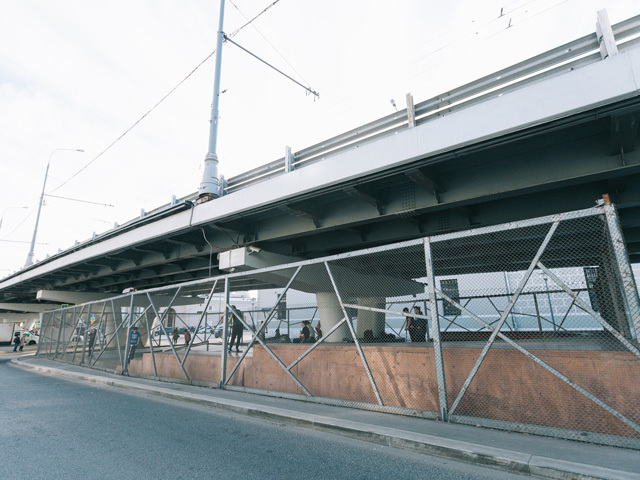 It seemed to us ideal because if in Berlin people are ready to sit in cafes under overpasses, in Moscow, there is still a stereotype that it is impossible here,” says Stelka Architects CEO, Dash Paramonova. Snøhetta, who worked on part of the Garden Ring development, came up with the idea of the skatepark, with Strelka Architects bringing the skateboard federation on board to consult on the design. 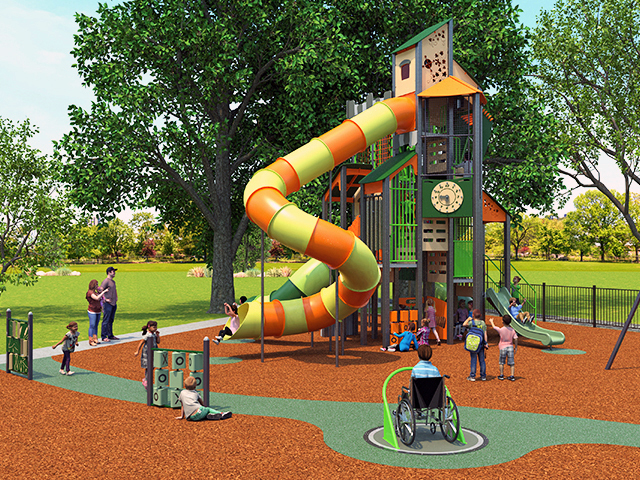 The professionals suggested, due to the size constraints, that a simple platform that could accommodate beginners would be the best design for the space and of most use to the neighbourhood. 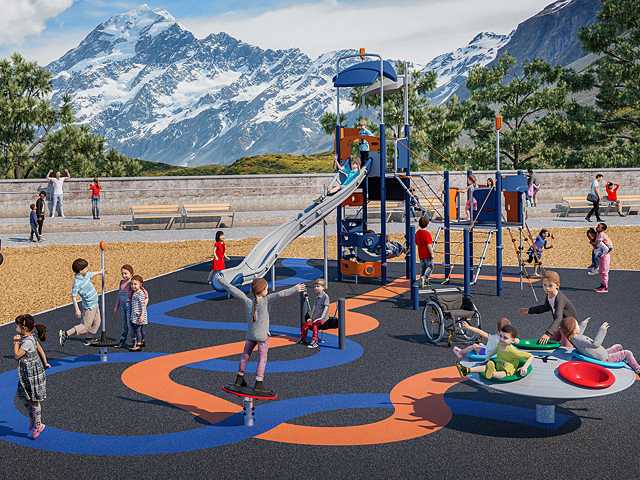 The resulting park includes a two-level amphitheatre with steps and universal elements suitable for beginners up to the more experienced riders working on their movements. 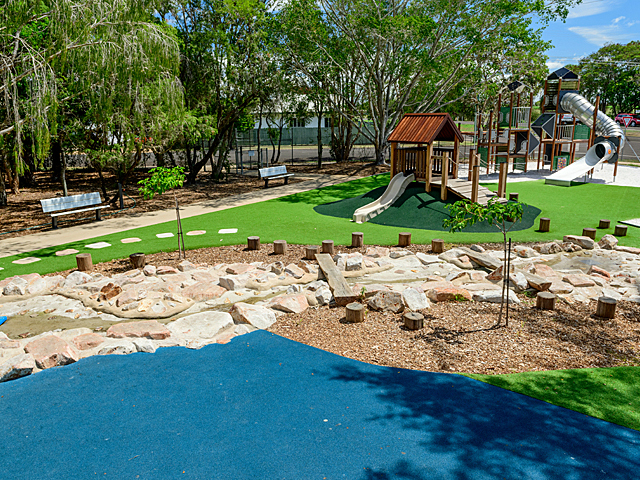 A special coloured concrete was used on the surface to add a little vibrancy and tone down the industrial grey. 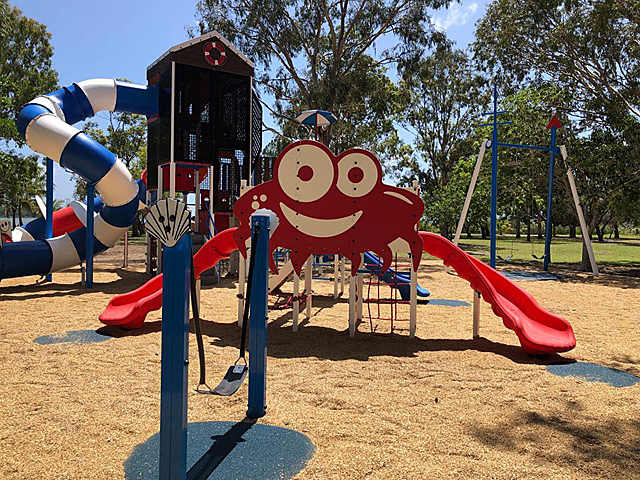 To ensure users’ safety, high fences and safety nets were installed, and, because the space is undercover, it can be used all year round. 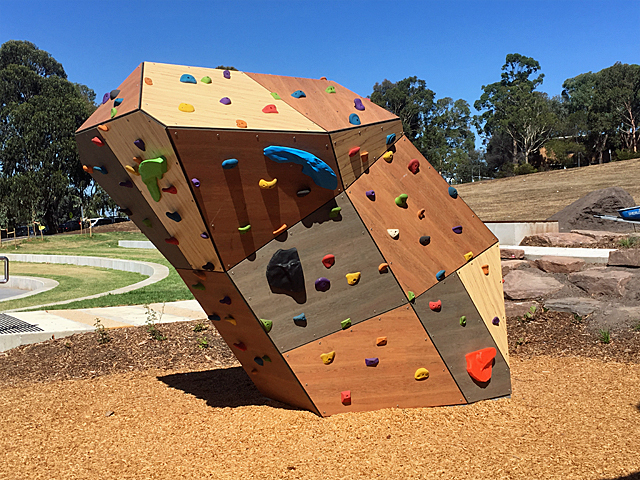 The new space also sits next to Krymskaya Square, where more experienced boarders already ride, and therefore serves as a nice training ground for younger boarders to gain more confidence in their skills before they move out into the wider space.